With the school year winding down and the summer season heating up, more than a few parents are still unsure of how best to entertain, or educate, their offspring come June, July and August. Amid the myriad of choices are summer learning programs offered at more than 2,400 camps accredited by the American Camp Association (ACA). And, according to an April 2015 article in The Boston Globe, “Whatever your child likes to do, there’s a summer camp for that,” there are many options to suit needs and interests of all types and stripes (Buole, 2015). Indeed, this is not your grandfather’s summer camp … although those exist as well. While “traditional” camps remain aplenty, expanded mobility of today’s youth – not to mention technology – means that a variety of programs are available for young children, teens and those in between. Regardless, the value of the experience, and related outcomes, are hard to miss. According to the ACA, “Camp is an experience every child deserves. And there's nothing quite like watching a child’s face light up with the joy of discovering new friends, the pride of accomplishment, and the wonder that nature offers. Unplugged from the constant buzz of computers, television, video games, and cell phones, children find themselves at camp – making genuine connections with other children, rediscovering the fun in physical fitness, learning their own strengths, and finding their own voices” (ACA, 2015a). The ACA adds that, from a quantifiable perspective, the outcomes of a summer camp experience include the following (ACA, 2015b). Increasingly, camps are also being touted as premier incubators for the much-ballyhooed “non-cognitive skills” employers seem to be looking for (WaHaKee, 2013) as well as hotbeds of learning everything from leadership to social entrepreneurship (Mischel & Wallace, 2015). Given the gains, should camp be in your child’s summer plans? The first step in answering that question lies in your child’s readiness for a day or overnight camp program. Considerations include these questions: Does he respect the authority of other adults? Can she work through the inevitable conflicts that come about when living or playing with other children? Is he able to meet the responsibilities of being part of a group? And maybe most important – does she want to go to camp? (Tyrrell, 2009). If the answers are generally affirmative, the next step is to find a camp that best fits you and your child. The ACA says parents tend to choose one based on its likelihood to enrich their child’s overall educational experience, its value and the extent to which its offerings seem right for their child’s age. 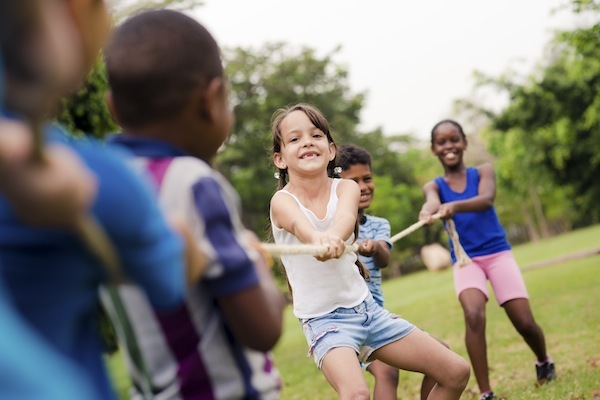 While many parents may begin with a day camp for their child’s first “get-your-feet-wet” outing, the ACA notes that the average sleep-away experience occurs at about age nine or ten, although younger children may benefit from overnight camping as well. Other tips include these offered by the Better Business Bureau (BBB, 2015). • Always visit the camp before submitting your deposit. Check its location and view the living, eating and recreational facilities. Ask about safety procedures (particularly for water activities, archery and out-of-camp trips) and assess the quality and commitment of the staff. • Ask about fees and payment deadlines. Is your deposit refundable? Are there extra charges for any activities? Are meals and transportation offered? • What is the camper return rate? The counselor return rate? • What is the camp director’s background? How is the staff trained? Are criminal checks made for employees and volunteers? What is the ratio of campers to staff members? • Are medical facilities adequate? Is a nurse or doctor on site? What are the procedures for transporting injured or sick children to medical facilities? Are those facilities nearby? • What are the safety rules and how are they enforced? Does the camp have appropriate insurance coverage? • Are family visits or other communications with campers allowed? How is homesickness handled? • Are references from parents of repeat campers available? Ask the parents about their child’s experience and why they recommend the camp. • Finally, look for camps that are certified by the American Camp Association. ACA-accredited camps have met up to 300 nationally recognized standards. The bottom line for your child this summer? Get camp! ACA. (2015a). Support ACA! Support the camp experience!. American Camp Association. 2015. http://www.acacamps.org/support (15 April 2015). ACA. (2015b). Frequently asked questions about the ACA youth outcomes battery. American Camp Association. 2015. http://www.acacamps.org/research/youth-outcomes-battery-faq (15 April 2015). BBB. (2015). BBB advice can help parents find safe, rewarding summer camps for children. Better Business Bureau of E. Missouri & Illinois. April 1, 2015. http://www.bbb.org/stlouis/news-events/news-releases/2015/04/bbb-summer-camp-tips/(15 April 2015). Buole, B. (2015). Whatever your child likes to do, there’s a summer camp for that. The Boston Globe. April 12, 2015. http://www.bostonglobe.com/metro/regionals/2015/04/11/whatever-your-child-likes-there-summer-camp-for-that/Cbb8j7q7f7LRx8Gjyd2BxN/story.html (15 April 2015). Mischel, L. and S. Wallace. (2015). A consequence of character: how summer camp promotes character, leadership, and entrepreneurship. Camping Magazine. January/February 2015. http://www.acacamps.org/campmag/1501/how-summer-camp-promotes-character-leadership-and-entrepreneurship (15 April 2015). Tyrrell, D. (2009). 20/20 toolbox: Ready! Set! Go!. Camping Magazine. January/February 2009. http://www.acacamps.org/campmag/issues/0901/ready-set-go (15 April 2015). WeHaKee. (2013). Non-cognitive skills. Camp counselor: the ultimate internship!. WeHaKee Camp for Girls. March 17, 2013. http://www.wehakeecampforgirls.com/category/blog-tags/non-cognitive-skills (15 April 2015).